Novelty replica, Manchester Museum of Science & Industry, 15 September 2005 1. Novelty was built for the Rainhill trials by John Braithwaite and Swedish engineer and inventor John Ericsson (who went on to design the ironclad USS Monitor for the Federal side during the American civil war.) 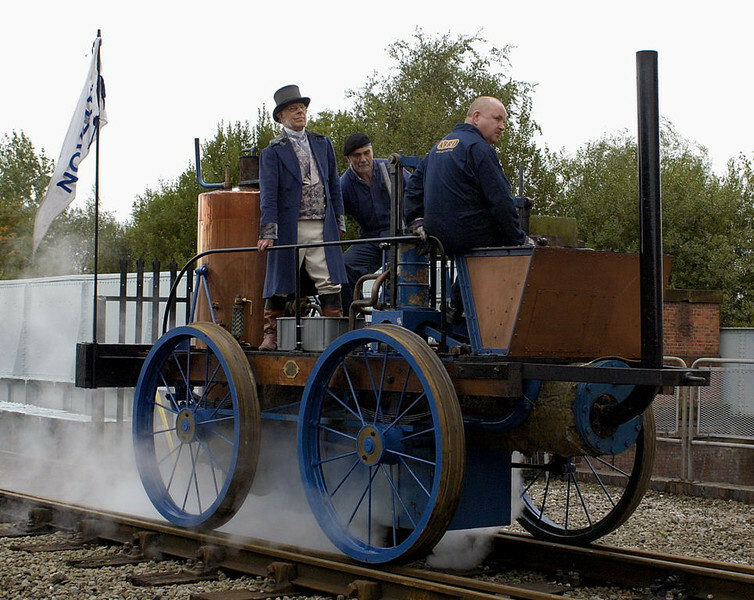 The replica was built by Locomotion Enterprises for the Rocket 1980 event. It was then sold to the Swedish National Railway Museum, from where it had travelled especially for the Riot of Steam.